The Quarter Clip is a compact way of adding some security to your pedal stroke. 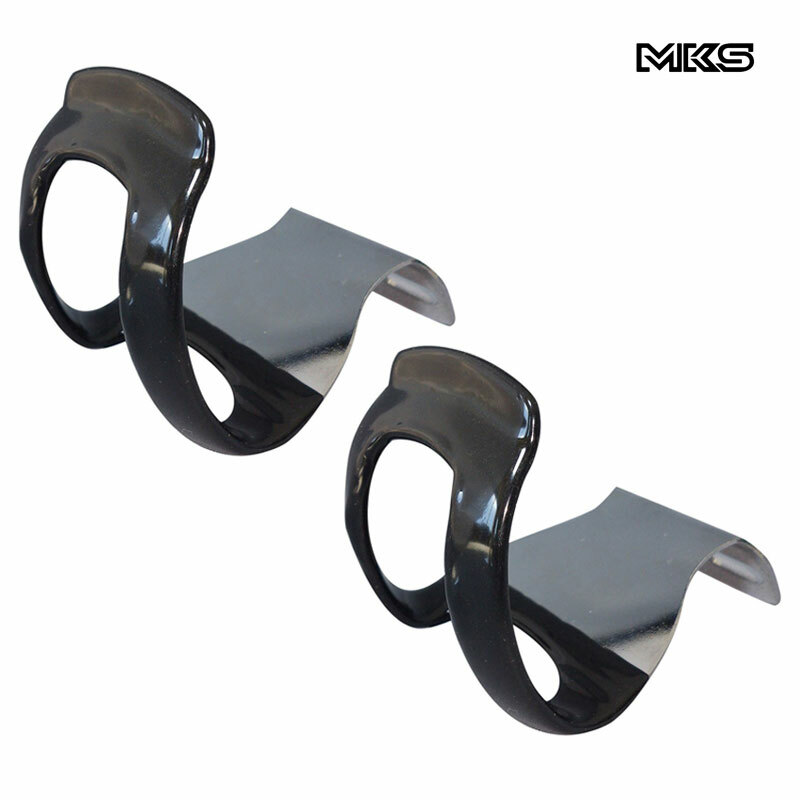 The MKS Quarter Clip is dipped in a plastic resin to protect both your shoe and the clip. Ideal exactly what I wanted. I bought these after falling off with child in seat behind, thankfully no injuries. My foot got caught on full toe clips when I had to stop unexpectedly. I lost balance and, bang. These enable me to pull the pedal up easily at a stop and stop my feet moving forward. They do this well. Unsurprisingly they don't provide any lateral or backwards restraint, which takes a bit of getting used to after full clips. Time will tell how long the plastic coating will last. What Is The Length Of These Clips? The length of these toe clips measured from the fixing point to the deepest point of the two is 60mm.